from the link given below in the notification. 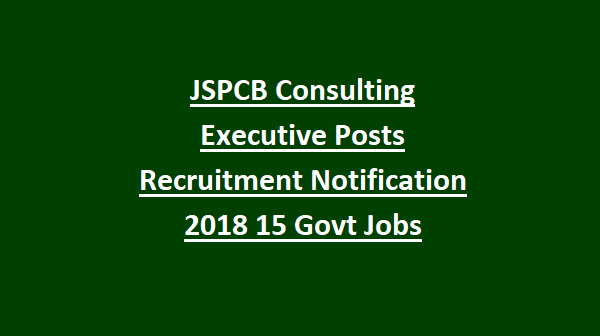 There is total of 15 posts vacancy is available in the notification. For other information like age limit, selection process, how to apply candidate can read the notification given below . As per Jharkhand state pollution control board the application form will be rejected if it was incomplete for applying the post of consulting executive post. 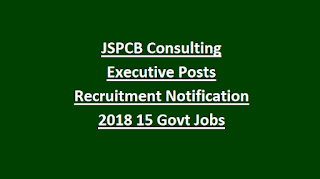 Total 15 posts in this JSPCB recruitment. Candidate must have PG qualification in the related science group and must qualified person in NET. Initial pay is Rs 25000 along with HRA & Travelling Allowances as per Rules. There is no application fees applied for the examination. Weightage will be given for the experience and the qualification. -candidate must checkout the below given link to download the application form.